Credit: 358211(Photo by Jared C. Tilton/Getty Images) TALLADEGA, AL – OCTOBER 14: Aric Almirola, driver of the #10 Smithfield Bacon for Life Ford, celebrates in Victory Lane after winning the Monster Energy NASCAR Cup Series 1000Bulbs.com 500 at Talladega Superspeedway on October 14, 2018 in Talladega, Alabama. 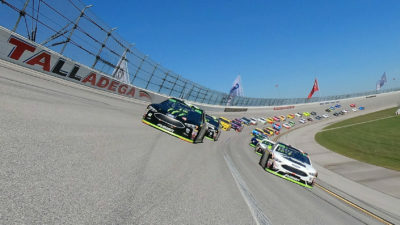 Clint Bowyer Cummins/Rush Truck Centers Ford, started from 2nd place posted his 13th Top 10 finish in 26 races at Talladega Superspeedway. It is his 15th Top 10 finish in 2018. 3rd Place Car 17 Ricky Stenhouse Jr. SunnyD Ford, started from 12th place posted his 7th Top 10 finish in 11 races at Talladega Superspeedway. 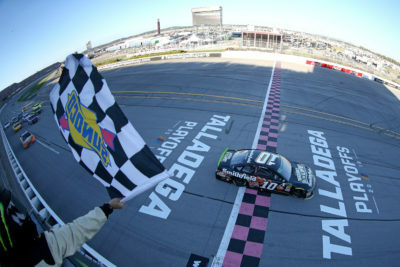 Credit: 358209(Photo by Matt Sullivan/Getty Images) TALLADEGA, AL – OCTOBER 14: Aric Almirola, driver of the #10 Smithfield Bacon for Life Ford, takes the checkered flag to win the Monster Energy NASCAR Cup Series 1000Bulbs.com 500 at Talladega Superspeedway on October 14, 2018 in Talladega, Alabama. point standings by 17 points overKyle Busch (P). 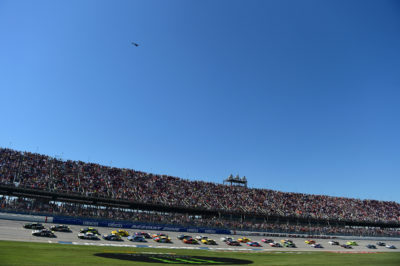 Credit: 358206(Photo by Matt Sullivan/Getty Images) TALLADEGA, AL – OCTOBER 14: Kurt Busch, driver of the #41 Monster Energy/Haas Automation Ford, leads the field at the start of the Monster Energy NASCAR Cup Series 1000Bulbs.com 500 at Talladega Superspeedway on October 14, 2018 in Talladega, Alabama. The race had 8 Cautions for 32 Laps: 1st Caution on lap 12 for #96 Spin Frontstretch. 2nd Caution on lap 57 for End of Stage 1. 3rd Caution on lap 63 for #48 Crash on the Frontstretch. 4th Caution on lap 105 for #42 Crash on the Backstretch. 5th Caution on lap 112 for End of Stage 2. 6th Caution on lap 137 for #1 Crash on the Frontstretch. 7th Caution on lap 161 for Debris on Frontstretch. 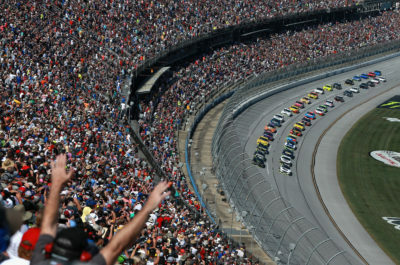 8th Caution on lap 187 for #24, 88, 23, 20, 9 Crash in Turn 4.
Credit: 358203(Photo by Chris Graythen/Getty Images) TALLADEGA, AL – OCTOBER 14: Kurt Busch, driver of the #41 Monster Energy/Haas Automation Ford, leads the field at the start of the Monster Energy NASCAR Cup Series 1000Bulbs.com 500 at Talladega Superspeedway on October 14, 2018 in Talladega, Alabama. The race had 15 Lead Changes among 11 drivers: Kurt Busch (P) 1-11; A. Allmendinger 12; Kurt Busch (P) 13-56; M. DiBenedetto 57; R. Blaney (P) 58-63; R. Chastain(i) 64; K. Harvick (P) 65-68; Kyle Busch (P) 69; K. Harvick (P) 70-111; B. Keselowski (P) 112-121; W. Byron # 122-126; B. Keselowski (P) 127-137; M. DiBenedetto 138; B. Gaughan(i) 139; Kurt Busch (P) 140-192; A. Almirola (P) 193.
Credit: 358204(Photo by Sean Gardner/Getty Images) TALLADEGA, AL – OCTOBER 14: Kurt Busch, driver of the #41 Monster Energy/Haas Automation Ford, and Clint Bowyer, driver of the #14 Cummins/Rush Truck Centers Ford, lead the field to the green flag to start the Monster Energy NASCAR Cup Series 1000Bulbs.com 500 at Talladega Superspeedway on October 14, 2018 in Talladega, Alabama. 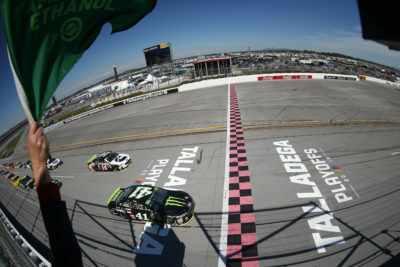 Credit: 358205(Photo by Jared C. Tilton/Getty Images) TALLADEGA, AL – OCTOBER 14: Kurt Busch, driver of the #41 Monster Energy/Haas Automation Ford, and Clint Bowyer, driver of the #14 Cummins/Rush Truck Centers Ford, lead the field to the green flag to start the Monster Energy NASCAR Cup Series 1000Bulbs.com 500 at Talladega Superspeedway on October 14, 2018 in Talladega, Alabama. 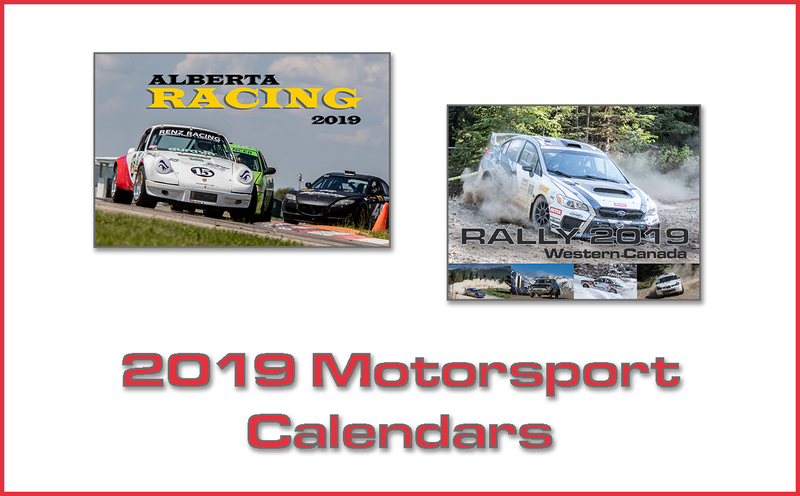 Race Comments: Prior to the start of the race, the following cars dropped to the rear of the field under penalty for the reasons indicated: Nos. 00, 42 (unapproved adjustments). 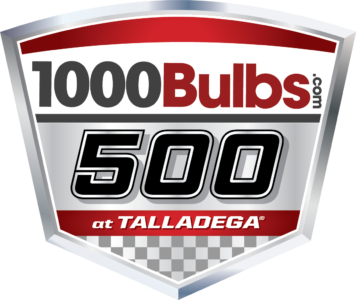 Failed to Qualify: (1) 97 David Starr(i). Time of Race: 03 Hrs, 20 Mins, 24 Secs. Average Speed: 153.707 MPH. Margin of Victory: 0.105 Seconds. Caution Flags: 8 for 32 laps. Lead Changes: 15 among 11 drivers. American Ethanol Green Flag Restart Award: Ricky Stenhouse Jr, #17. Busch Pole Award: Kurt Busch, #41 195.804 mph. Fastest Lap: Jamie McMurray, #1. Mahle Clevite Engine Builder of the Race: Roush-Yates Engines, #14, Moog Go the Extra Mile: AJ Allmendinger, #47 crew chief Trent Owens, 0.133 seconds. Sunoco Rookie of the Race: Bubba Wallace, #43.